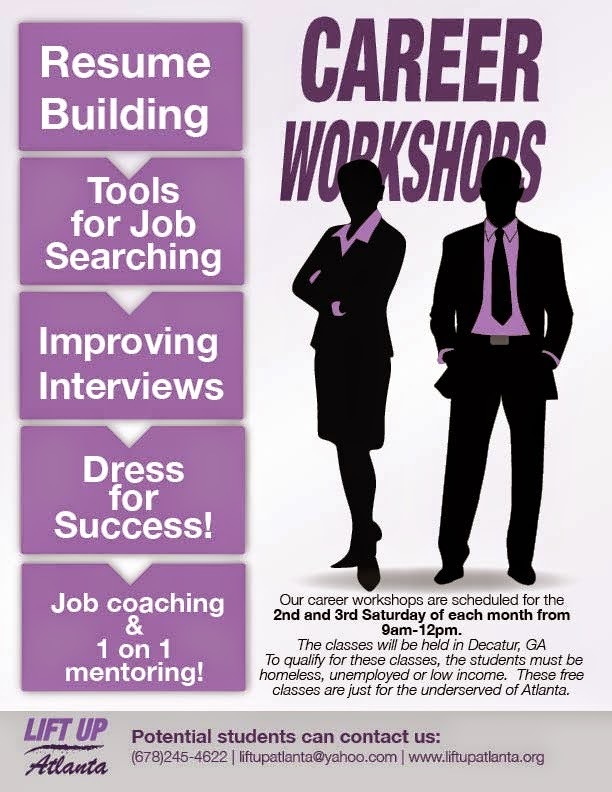 Lift Up Atlanta is having career workshops the 2nd and 3rd Saturday of every month. The workshops will help with resume building, improving interview skills, dress for success and provide great job search tips and job coaching and mentoring. The workshops will be held in Decatur, GA (right on the MARTA bus line). You will be given guidance from experienced professionals that will not only help you at the workshop but provide follow ups especially if you ever need additional mentoring or job coaching. The workshops are open to the homeless, unemployed and low income. If you would like to sign up, please email us at liftupatlanta@yahoo.com or call us at 678-245-4622.